It’s an age old argument. Property or pension; which is better for funding retirement? 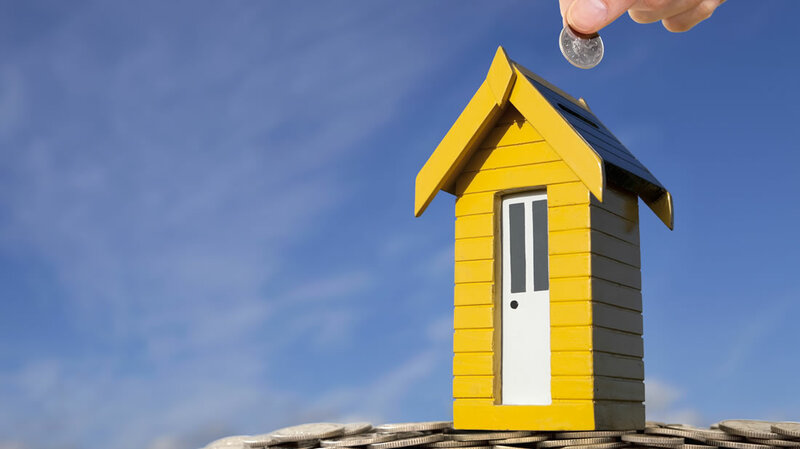 This debate was rekindled recently by the Bank of England’s chief economist Andy Haldane who said property is a better option for funding retirement than a pension. The reality however is that there are pros and cons to each one, so let’s unpack the debate a little more. 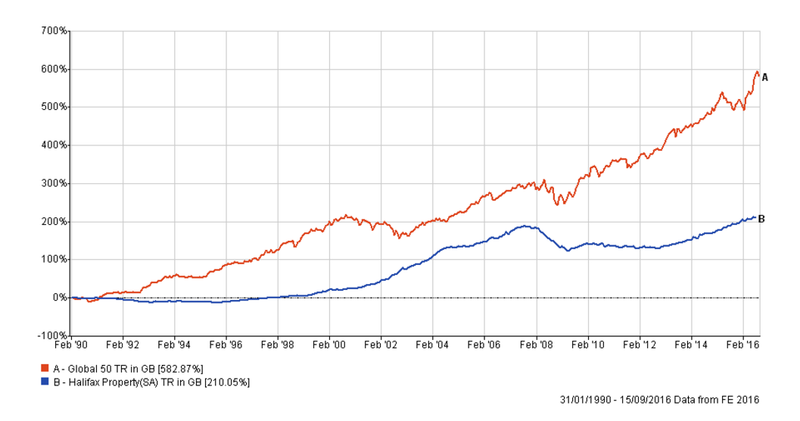 First, let’s examine the relative returns of the two types of investments for the last 25 years. For property, we use the Halifax House Price Index and for pension we use a simple globally diversified portfolio that invests equally in bonds and shares. There are a few small caveats. The comparison does not take into account the cost of investing in property or pension. Pension charges can take a bite out of returns and stamp duty, transaction and maintenance fees impact on property returns. Furthermore, the comparison doesn’t factor in the tax relief received on pension contributions which understates its performance. While the global portfolio assumes that income (such as dividends) on the investment is reinvested, the Halifax house price index does not take rental income or the benefit of living in the house into account. It’s hard to reinvest the rental income back into property as you cannot buy in small bits. This gives a global portfolio an advantage but even when we exclude the income on the portfolio to provide somewhat of a level playing field, it’s still miles ahead. Now, let’s consider the practical and tax implications of house ownership versus pensions. The table below summarises the pros and cons of both investments. Liquidity Can be accessed easily and flexibly from age 55 Money not easily accessible and whole property has to be sold. Illiquid asset. As this table suggests, there are nuances to be taken into account when considering the best way to fund your retirement. Property is not necessarily a bad investment, but for many people, a pension is far more practical and a tax-efficient way to fund retirement. If you are willing to put up with the hassles of property, then arguably the best option is to hold a combination of different assets to fund retirement including: Pension/s, ISAs, General accounts, Cash, Property, NS&I. There are other asset types as well including classic cars, antiques, wine, commodities etc, but these are more specialist.